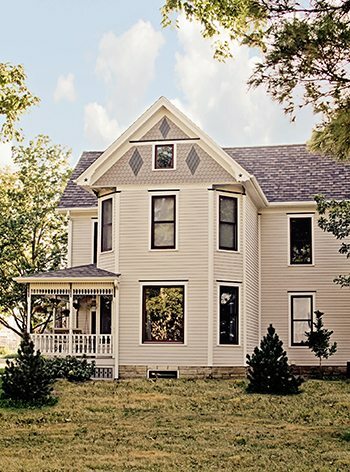 New exteriors make an old house new again. 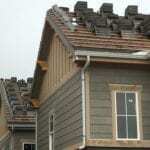 Searching for a Denver siding replacement company? New Roof Plus can help! We are a Colorado born and bred company serving the entire front range. 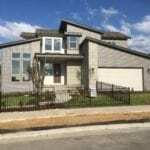 We have experience in all types of siding material, manufacturers and installation. Read our reviews to learn more about the experience of others! Hail, wind and the usual Colorado weather beat the heck out of all buildings. As many people who visit Colorado on a vacation will unfortunately leave “Colorful Colorado” with one of the worst sunburns of their lives. It happens all ski season long. And all summer long… visitors from around the world bask in our beautiful sunny weather only to peal their face off five days later. Reality check: Colorado is closer to the sun than any other state! Not only does this cause a lot of skin damage, it damages your home too. Intense hot sun, wind, snow, hail, more sun, dry air, more wind – the weather never stops beating on your home or building. Eventually, every building succumbs to the high altitude elements and needs to be resurfaced – be it a roof or siding or windows or doors. They just either dry up and crack or get pounded by hail. superior to those of the past when it comes to durability to our tough weather and aesthetics. There are products available to you now that will out-live you. And that is the protection and peace of mind a lot of people want. New Roof Plus has been able to work in the installation of many of these new choices so we know first hand which one’s turn out well. We know which manufacturers have reliable delivery of products as promised. We know which manufacturers deliver consistent colors as they are sold. We know which one’s stand up over time and have the best warranties. We can help you through this process since we’ve done it so many times. On top of this, since we are experienced in all the exterior elements, we can help you bring it all together as one new exterior package for your home. What’s Best in Colorado: HardieBoard or LP Smart Side? For many homeowners today, the current choices are coming down to these two companies. They both have really good products and each has it’s pro’s and con’s. New siding choices offer new colors and can resist hail and extreme weather. James Hardie is the largest manufacturer in fiber cement siding. Fiber cement just makes sense for Colorado. It’s super durable, doesn’t rot, looks great (not like cement at all), comes in a variety of colors and it’s been around long enough now that the defects have been worked out. This is one of those products that should out live you. The key as always is the installation. When you are installing fiber cement, this material requires different techniques to ensure a completely seal home envelope is the result. You want an experienced crew doing this. Smartside is different than fiber cement. This is called engineered wood. They claim is resists impact damage better than the Hardie product and vinyl siding. It’s also a really really good product that a lot of the top installers prefer to use. It cuts better and allows for a better finish in many ways. This product has been around enough years now that they have worked out the bugs in the manufacturing. There were some problems at first but those are in the past it seems. We help you plan your new roof and exterior look. One big advantage LP has over Hardie are the color options. LP has a system of third party vendors that can apply a wide range of really beautiful multi-dimensional colors to siding. This can give your home the look of natural or aged or super high end looks people are looking for these days. Our website is just the start of what we can offer you for choices. 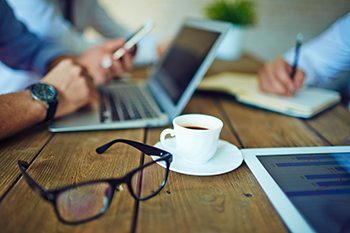 Every client has a unique set of circumstances and tastes. It is our goal to put together a plan that fits your desires and achieves an end result you will appreciate for as long as you live in your home. Give us a call and schedule an interview to hear our thoughts, ideas and how we work with people. Or fill out our form and we would be glad to call you at your convenience.